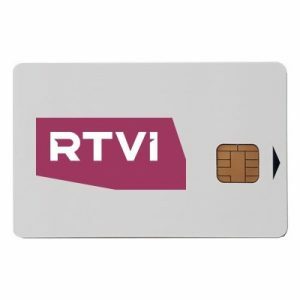 RTVi 12 Month subscription card for Russian news and current affairs channel RTVi transmitting via Hotbird at 13 East in Viaccess encryption. This card gives access to current affairs channel RTV International. Programming is designed to provide Russian nationals living abroad with innovative programming from Russia including daily newscasts and controversial talk-shows. Also available on the same frequency is free-to-air channel RTVi Arkhiv. This smartcard requires a Viaccess set top box or Viaccess CAM supporting the latest version Viaccess PC6 encryption.